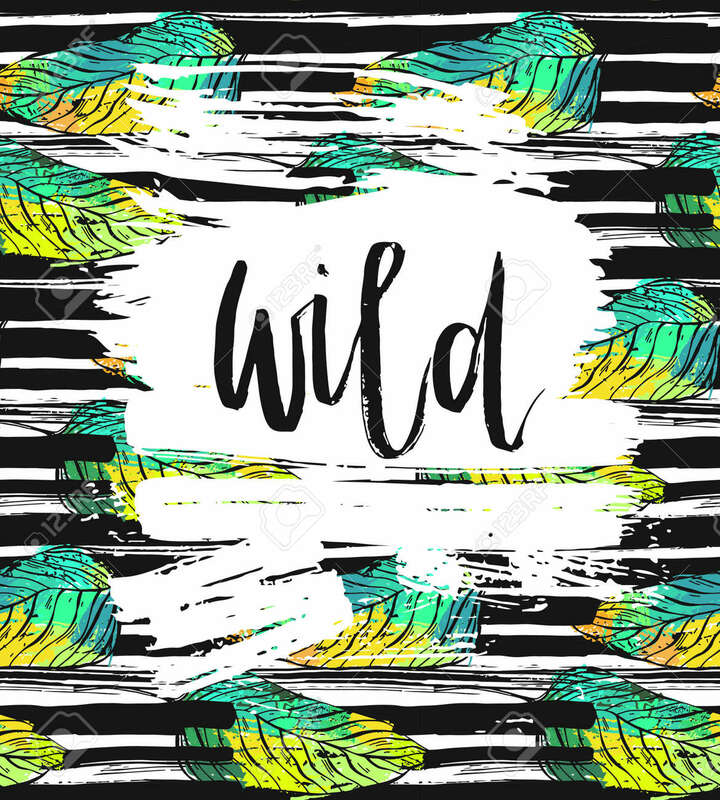 Hand Drawn Vector Card Template With Ink Lettering Word Wild On Brush Stroke Textured Background And Tropical Green Palm Leafs. Клипарты, векторы, и Набор Иллюстраций Без Оплаты Отчислений. Image 115871983. Фото со стока - Hand drawn vector card template with ink lettering word Wild on brush stroke textured background and tropical green palm leafs.